Now that we have calculated how much each of our example investors must contribute over their lifetimes, we need to decide when those contributions should be made – what are the best contribution patterns? Whilst I do not expect a 25-year-old to commit to a fixed plan of investment over the next 40 years, it will be useful to have an idealised target to aim for. 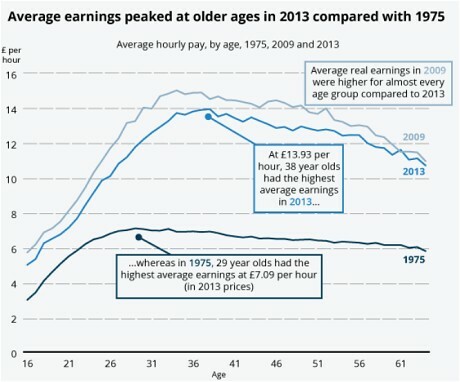 It is unlikely that contributions will be equal from year to year. Both income and expenses will vary through life, as will the importance placed on saving for retirement. Low salaries and high expenses in early adulthood will militate against contributions, but this must be set against the knowledge that early investments will have the most time to grow. 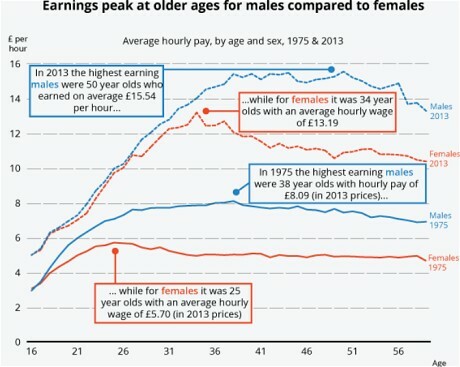 Earnings for women peak at age 34 (presumably because many women take lower-paid jobs after having children) whereas male earnings peak at age 50. Combining the genders produces the apparent peak at age 38. 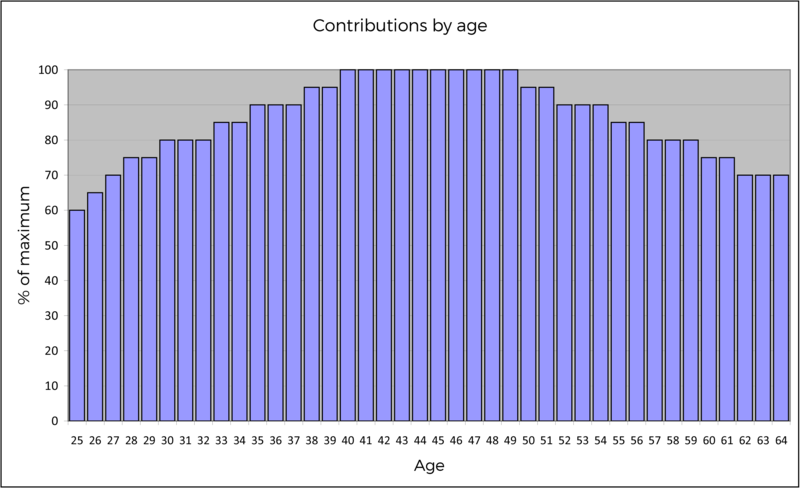 For those investors aiming to retire at 55 and not 65, we will use the same pattern of contributions for the first 30 years, but the contributions will need to be higher in absolute terms each year in order to reach the target more quickly. The next step will be to decide on a suitable deal size, so that we can work out how many trades each of the investors must make each year. We can then move on to consider which assets they should be buying.